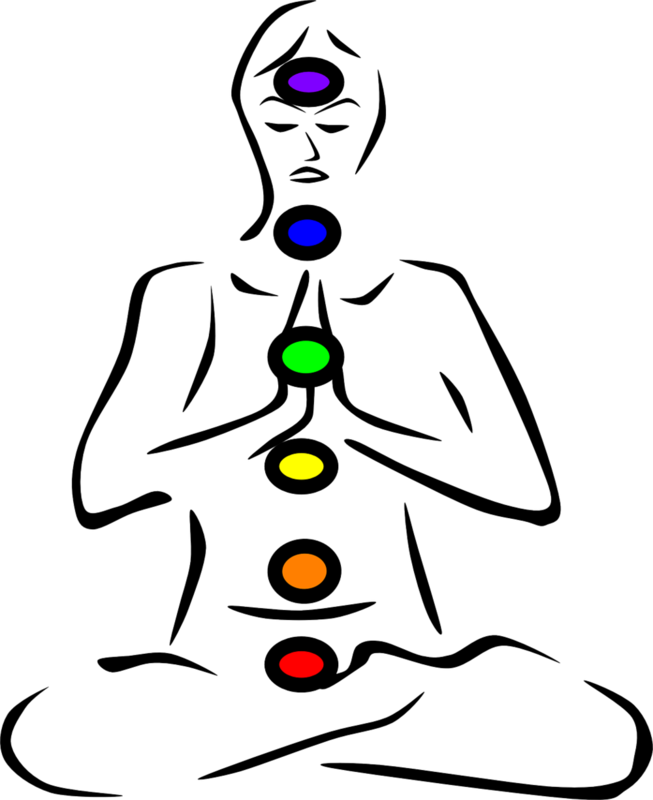 The word Chakra is the Sanskirt word that translates to wheel or disk. This is because Chakras are said to be whirling energy centers in your body. There are seven main chakras that follow the center line of your body starting at the base of your tail bone and follow your spine all the way up to the top of your head. These seven energy centers actually align with physical nerve centers and organs in your body, and therefore not surprisingly each chakra's purpose corresponds with the physical location. When these energy centers experience blockages (usually from mental, emotional, or physical stressors) they stop working properly and a variety of symptoms begin to manifest as mental, emotional, or physical pain. To maintain balance in ones life, these chakra's must remain open so the energy can flow, much like a river. If a tree were to fall into a river, it enables more debris to accumulate, until there is so much debris a dam forms, and the river stops flowing. Not only is the immediate area affected by flooding, but areas downstream are affected as well. When a chakra is blocked energy builds up until finally it reaches a breaking point. When this happens a person may experience extreme depression, chronic pain, and an inability to connect to others. Like the river, once this breaking point is reached it becomes more difficult to reach the tree, and remove the blockage that started it all. The first step to preventing these blockages is awareness. By having just a basic knowledge of the chakras you enable yourself to be more aware of how the world around you affects you, and can take additional steps to release the stressors we experience that would normally pile up. When stress does begin to pile up, you will be better able to self diagnose and begin the process of re-opening the chakras. Starting at the base of the spine, sits the root chakra. It is viewed as the color red, and being the closest to earth of the major seven chakras, it is associated with our most basic needs; food and hunger, shelter and wealth, and stability. When this chakra is out of balance we are more fearful of the world around us. When it is open we feel safe and secure. Just above the pubic bone, in our reproductive organs, is the sacral chakra. Given the color orange, it is the seat of our emotion, our center of creative expression, and our sexuality. When this chakra is blocked we may experience guilt and frustration. When it is open we are forgiving and accepting. Located in our stomach is the solar plexus chakra. It is our power center and source of vitality and is represented by the color yellow. This one is sometimes the easiest to see as out of balance because it manifests with physical symptoms So many times when we feel powerless and out of control we begin to have problems eating. Some people over eat, and some give up on eating. When the solar plexus is balanced we feel powerful and in control. The heart chakra is special, as being located centrally at your heart it connects the chakras associated with your physical being to those of your spiritual self. Denoted as green, the heart chakra deals with all things love. Many people struggle with having enough self love that they seek love from others. In addition to self love, this chakra also encompasses romantic love, platonic love, and familial love. The throat chakra deals with communication and truth and is colored blue. Imbalances manifest as dishonesty and trouble with communicating; whether over communication or an inability to speak up for ones self. The third eye is located on the forehead, just above and between the eyebrows. It is the seat of our intuition and is colored purple. Naturally our minds like to over think and rationalize every thought and situation. To stay balance trust you instincts, and listen to your intuition. Lastly is the crown chakra at the very top of our heads. It is often colored white and seen as the "thousand petal lotus". It is the chakra of spiritual connection and enlightenment. When blocked, we may feel we have no purpose in the universe. When open we feel connected to our higher selves and to the divine. There are many more chakras all around our body, for example; the palm chakras, eye chakras, and ear chakras. There are even chakras that aren't even located on the body like the soul star which is about one foot above the crown, and the earth star which is one foot below our feet. While these chakras are important, they don't poses as much power as the main seven chakras to throw our whole lives out of balance. Below is a wonderful video which explains chakra's in the most basic way. It is taken from the Nickelodeon series Avatar: The Last Airbender, where a young boy tackles complex adult themes and solves them in a way only the simple heart of a child could.